Anthony Brownrigg brings us his latest movie which is a werewolf movie named Freeborn. Freeborn is about a group of werewolves living in a suburban city. Two groups within the city must fight to keep their secret. A single person being in the wrong place at the wrong time may expose the secret held for so long. 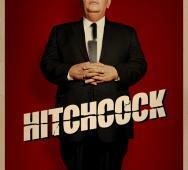 Sacha Gervasi‘s Hitchcock is scheduled to hit movie theaters this upcoming November 23, 2012. Anthony Hopkins will be playing one of the greatest icons in horror. The upcoming movie is a love story about the famous film maker and his wife Alma Reville from the book by Stephen Rebello entitled Alfred Hitchcock And The Making Of Psycho. Guillermo del Toro and Andy Muschietti have an impressive horror movie coming soon for all you horror fans. Mama is about 2 little girls who are found in the woods and are almost animal like. They are taken in and when all seems to be going good, a hauntingly chilling entity comes back for the girls. 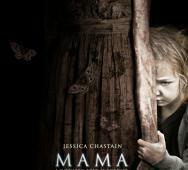 The trailer looks awesome and Mama is definitely on my must sees list for horror movies coming in 2013. Chris Ethridge will be filming The Morningside Monster this late September. This is a brutal murder-mystery film and it may be a good one. There is some good movie stars attached to this title so let’s see what happens. 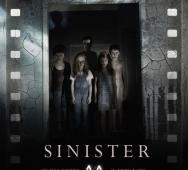 Sinister is from the producer of Paranormal Activity and Insidious. Scott Derrickson (The Exorcism of Emily Rose) is the director. Check out the new poster with the image of the demon in blood terrorizing the families. 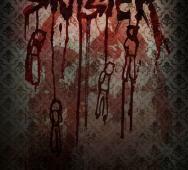 Off the bloody Sinister name is images of people hanging themselves. Not as gruesome and foreboding as past media releases but lets see what Sinister looks like in the final print. Barry Levinson‘s The Bay looks like a scary horror movie that you need to see. Check out both the poster and especially the trailer for some great footage of what The Bay has in store for us. The Bay is from the producers who brought you Paranormal Activity and Insidious. You get scary creepy little creatures and a great government cover up all bundled into one horror film. It is finally here, AMC‘s The Walking Dead Season 3 poster. The poster restates “Fight the Dead, Fear the Living.” Below that is Rick Grimes (Andrew Lincoln) with is gun trained on a possible zombie or perhaps even a living target. He is the ultimate badass and following up to the Season 2 ending where he decides to lead the group with an iron fist, I can’t wait to see where Rick Grimes leads us. 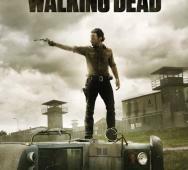 Rick stands on top of a overturned bus with the prison in the background. John Poliquin‘s Grave Encounters 2 looks awesome so far and I see they pulled that crazy frame from the trailer to blow up into the poster. The evil entity that out of the air duct looks chilling and grips you. The creature is simple but nevertheless pulls off the scary effect nicely. This sequel promises to deliver 2x the scares, fears and all that goodness. 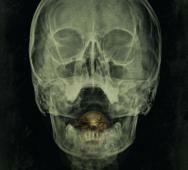 Scott Derrickson’s Sinister has released their International poster. My feelings are that I do not like the feel of this trailer. I do not get the same extreme sense of fear as before with other released material. I now get the creepy children feeling instead of the foreboding feeling. 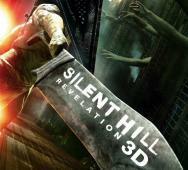 Michael J. Bassett‘s Silent Hill Revelation 3D is coming soon in October 26, 2012 and the media is starting to flood in. Silent Hill Executioner Pyramid Head takes center stage in a fantastically awesome new official poster for Silent Hill. 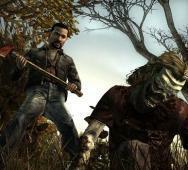 I remember when I first saw Pyramid Head in the Silent Hill games and I freaked a little. John Luessenhop‘s The Texas Chainsaw Massacre 3D promises to deliver with high expectations coming from the MPAA’s R rating. 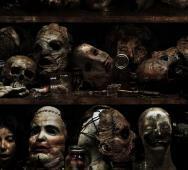 The teaser poster actually says “Texas Chainsaw 3D - Evil Wears Many Faces”. 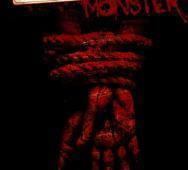 This horror movie is set to hit theaters this January 4, 2013. This anticipated horror film stars Alexandra Daddario, Bill Moseley and Gunnar Hansen. 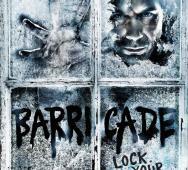 Andrew Currie‘s been working on a new horror film named Barricade. The poster plasters Eric McCormack huge as the first thing the eye catches. Next you see Eric looking out a window that is frosted with snow with eyes that seem to look into you. The tagline below this image reads “Lock Your Doors”.This will be the first film in which WWE Films does not have a WWE Superstar in the mix. Barricade will star Eric McCormack, Conner Dwelly and Ryan Grantham. Smiley will hit theaters this October 12, 2012. As slasher films go, this one looks interesting. Smiley stars Melanie Papalia (Endgame), Shane Dawson (Shane Dawson’s TV) and Andrew James Allen (Make It or Break It), with Toby Turner (The Annoying Orange), Roger Bart (Desperate Housewives), Keith David (The Thing) and Liza Weil (Scandal). Two new photos for Tibor Takac‘s Spiders 3D. These spiders are huge and we get to see them compared to trains. Spiders 3D stars William Hope, Patrick Muldoon, Jon Mack and Christa Campbell. FX American Horror Story Asylum is looking creepier then ever. Proof is in the 4 teaser posters below with my take on the posters as the heading for each poster, they are not official. Photos are from Entertainment Weekly who published the photos. FX American Horror Story will air this upcoming October 17, 2012. We still have more horror movies in the 2012 year. We have serial killers, demons, haunting, horror game franchise movies and even The Jersey Devil feature movie. Movies include Maniac, Resident Evil: Retribution, Smiley, V/H/S, Sinister, Paranormal Activity 4, House at the End of the Street, The Apparition, The Barrens, The Possession and Silent Hill: Revelation among many other good horror movies still left in the 2012 horror year. Take a fresh look/recap at the movies you should still be looking out for in 2012. 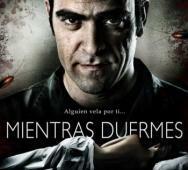 Jaume Balaguero‘s Sleep Tight (Mientras Duermes) will be released just time for October 2012. Below is the official press release with details to the latest project. MPI / Dark Sky Films will be releasing the Spanish shocker on VOD and in theaters on October 26, 2012. Resident Evil Retribution 3D has another Milla Jovovich skin-tight leather outfit. There is nothing else in the poster besides her which is a little dull in my opinion. I like Milla Jovovich but there is more to this film then her and I feel that they are always over stressing here. I know she is the hero here but can’t they have put in some explosions or maybe other cast members. 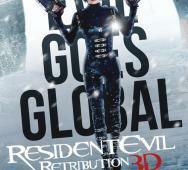 Resident Evil Retribution comes to theaters this upcoming September 14, 2012. The film stars Milla Jovovich, Sienna Guillory, Colin Salmon, Shawn Roberts, Boris Kodjoe, Michelle Rodriguez, Johann Urb, Oded Fehr, Kevin Durand and Li Bingbing. Todd Lincoln‘s The Apparition looks great from the following horror movie clips. The Apparition stars Ashley Greene, Sebastian Stan and Tom Felton. The performances in the following clips is gripping as the fear shows in their eyes and to feel pity for lies in their future. I was a little skeptical at first but now I must see The Apparition.